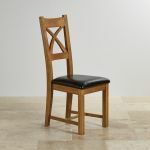 An impressive dining chair to perfectly complement our range of dining tables, this features all the cottage charm of our rustic oak look and the highest quality traditional carpentry techniques. 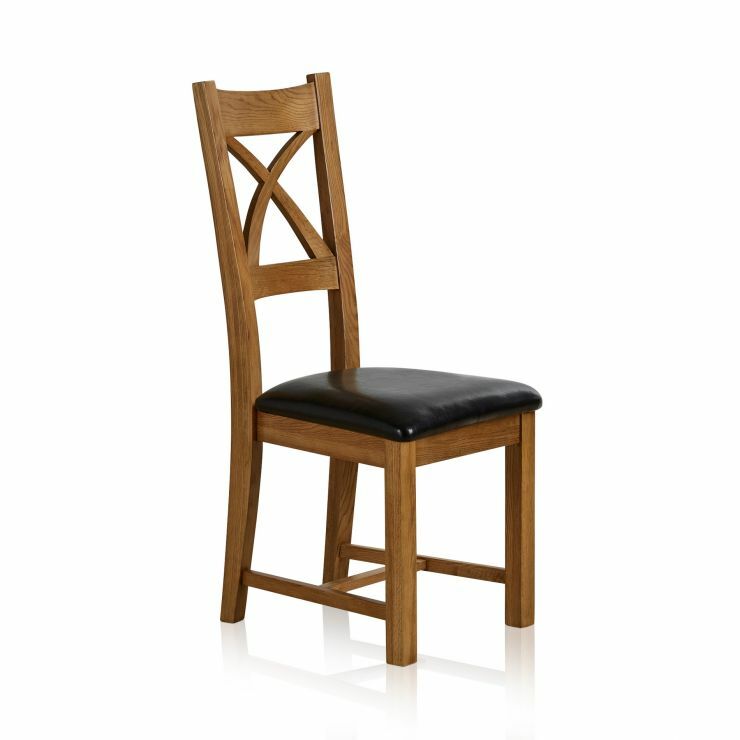 The back has a beautiful crossed arch detail which provides support and comfort and the black leather seat pad adds to the overall styling. 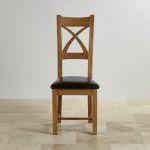 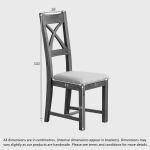 Our Cross Back rustic dining chairs are only available in pairs, but can also be purchased as part of a dining set with our Dining Set Builder tool.